These irregular shaped sun-dried tomato and basil rolls are so good, I could eat them every day. But I can’t. I do make these all the time on the yacht. They freeze well, defrost well and can be heated gently in the microwave or in the oven. What follows is a method of sorts...... more of a feeling really. 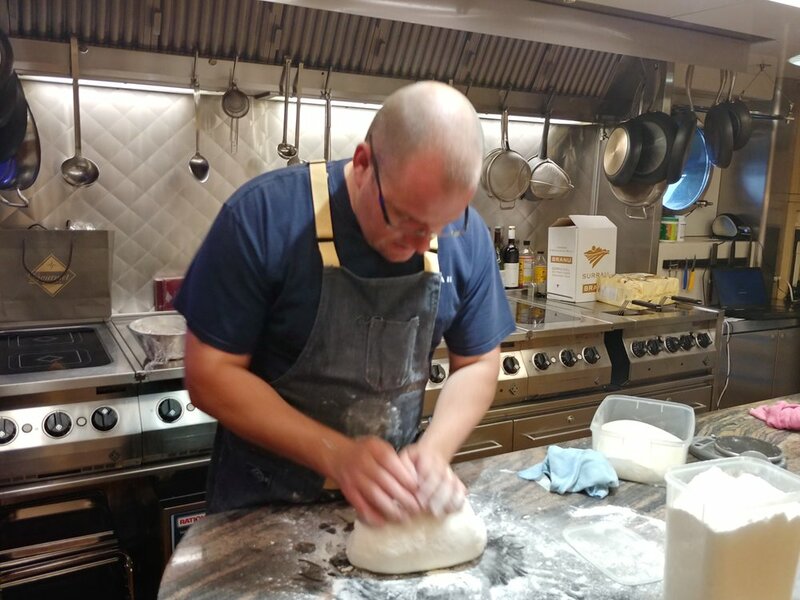 You've got to find your way with bread, so be prepared for a fair amount of trial and error. It may get frustrating, but the satisfaction of baking your own bread is a serious one. This recipe works for both. I am using MARRIAGES STRONG FLOUR. Very good indeed. 500g Strong Bread Flour - I use Marriages Flour, extremely good quality. Add the warm water to the above in your bowl. In machine or by hand for 10 minutes. Your work surface with flour and roll the dough in a ball. In a large bowl and let it proof for 1 hour. I don't do the usual kneading. I just shape and cut after second proof. On floured surface, flour bread, cut into shapes. Onto a lightly floured or grease tray. Cover and proof for 30 minutes. In size, ready for baking. If you can, try and spray the bread/rolls with water just before they go in the oven. It will give you bread with a better crust.